PDF/X4 – The future of PDF/X? 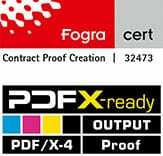 The PDF/X4 standard, a new PDF specification for PDF export, has already been available for several years. But what are the advantages of PDF/X4? Users from the print sector have known the ISO PDF-X standards for many years. If the name PDF stands for “Portable Document Format”, i.e. the portable and thus transferable document, PDF “X” is a version specialized for “eXchange”, i.e. the exchange of PDF files. In concrete terms, this means that many of the functions that a PDF file can potentially display (form fields, calculations, 3D elements, films, etc.) but which cannot be controlled in print are prohibited in PDF/X in order to ensure secure data exchange. 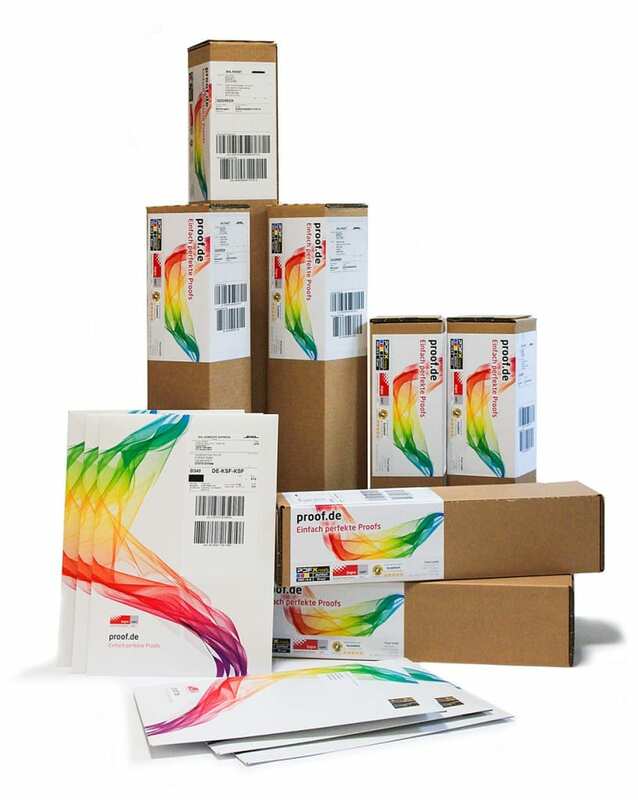 While PDF/X2 hardly came into its own, PDF/X1a and /X3 are still the standards for the printing industry today; almost all online printers such as Flyeralarm etc. demand PDF files in the PDF/X-3 standard. Why? The PDF/X-1 and PDF/X-3 files offer many advantages to printers: Instead of open data from Quark XPress or Adobe InDesign, the PDF significantly reduces the workload for print shops. No native software is necessary, no fonts, no image links… all this used to cost time and money. And to round off the PDF, the X was added, which stood for production reliability, since only those things were allowed to be used in the PDF that could also be safely exposed and printed. Customers complained about the white lines in the PDF, a display error in Adobe Acrobat based on the tiling of lines. 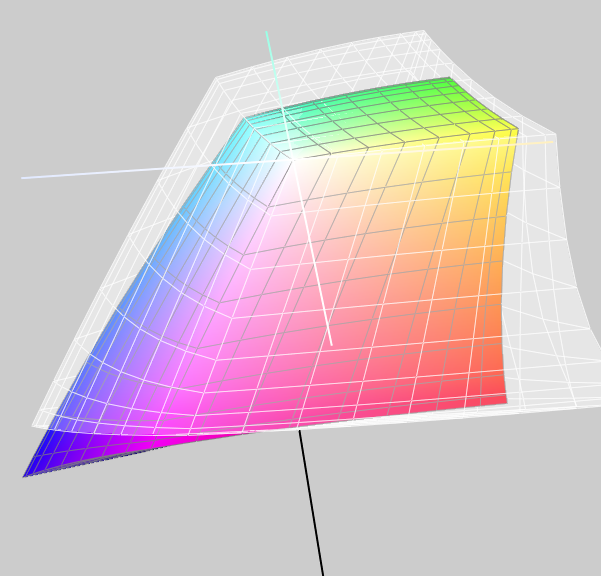 The transparency reduction color space, i.e. 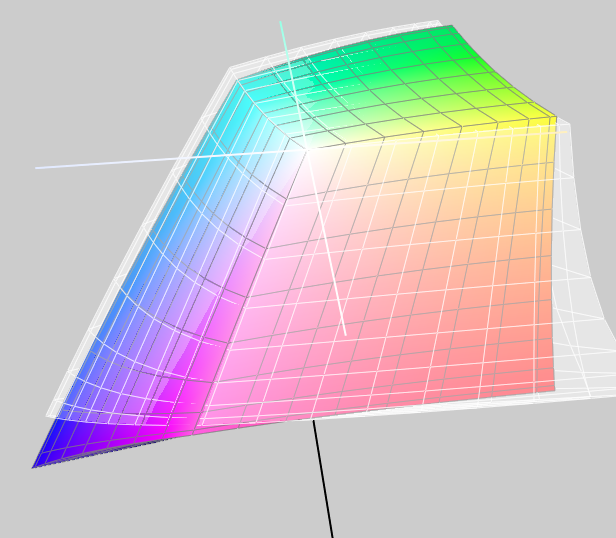 the color space into which the transparencies were converted during PDF export, could only be set globally. Either CMYK or RGB. A media-neutral workflow was therefore no longer possible. However, the new PDF/X-4 standard (ISO 15930-7) has also been available for several years. The PDF/X-4 standard can be used as of PDF 1.5 and also allows transparency, for example, so transparency reduction is no longer absolutely necessary. The PDF file becomes slimmer, images are no longer tiled and therefore also well represented and latest changes in the PDF file are possible for both images and texts. Since text also remains text, the full text search for PDF files is possible at any time. And: Due to the availability of Lab, RGB and CMYK data and the elimination of transparency reduction, a media-neutral workflow with all common color spaces plus spot colors is also possible. PDF creation has also been simplified in recent years. Due to the elimination of the postscript intermediate stage with subsequent processing via Acrobat Distiller, PDF files can already be generated directly in the layout programs for a long time. And that again causes the omission of PPD files and much more. Since InDesign CS3, PDF/X-4 documents can also be created here. Since version CS 5.5 ff the current PDF/X-4:2010 specification is also available. This means that the current standards of PDF/X-4 and PDF/X-4p are each based on the PDF 1.6 standard. PDF/X4-p refers to external color profiles, contains all data, the file is called PDF/X4, which has increasingly established itself as the standard and has also been demanded as PDF/X standard in the final examinations for media designers for three years. 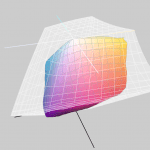 PDF/X-4 supports color management, Lab, CMYK, RGB, grayscale and spot colors. Transparencies and JPEG 2000, 16-bit data and OpenType fonts are also allowed. PDF/X-4 actually does much better than the previous standards. And so it is only a question of time when PDF/X-4 will also become widely accepted. 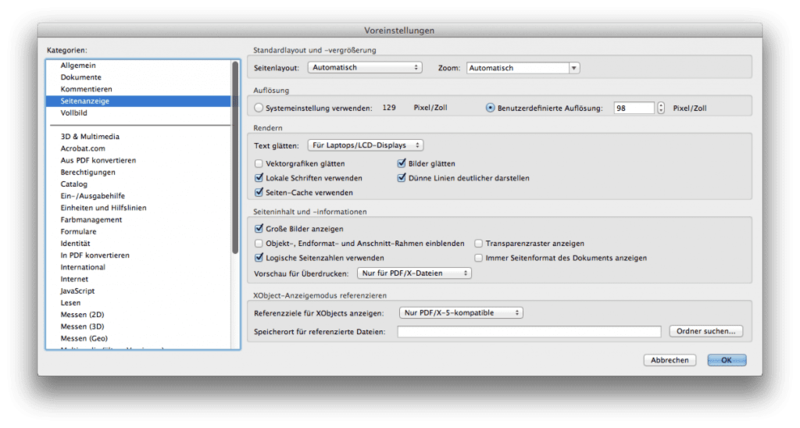 Simple and precise creation of PDF/X-4 files is now standard in Adobe InDesign or Quark XPress. 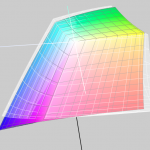 The more color spaces are possible besides CMYK in a PDF file, the more responsibility for the correctness of the data lies with the creator of the PDF, the designer. If you could be sure with the very secure PDF/X-1a printing standard that all data was in CMYK and flattened and that the result is displayed in Acrobat, which will later also be generated in print, then PDF/X-4 is no longer so secure. How many color spaces are included? Are they all correctly marked? Is the output color space correct? Are the transparencies reduced correctly? Many software manufacturers have promised PDF/X-4 compatibility, e.g. for their RIP software… but only promised. Sometimes, the transparency reduction in the RIP results in bizarre cases, as in this example. In another concrete case from our practice, an RGB black area behind numerous CMYK layers, which should never have been printed to the best of our knowledge and belief, confused the images above it, which were transparently cleared via alpha channel, in such a way that the entire print tore off in a rectangle instead of running out softly on black. 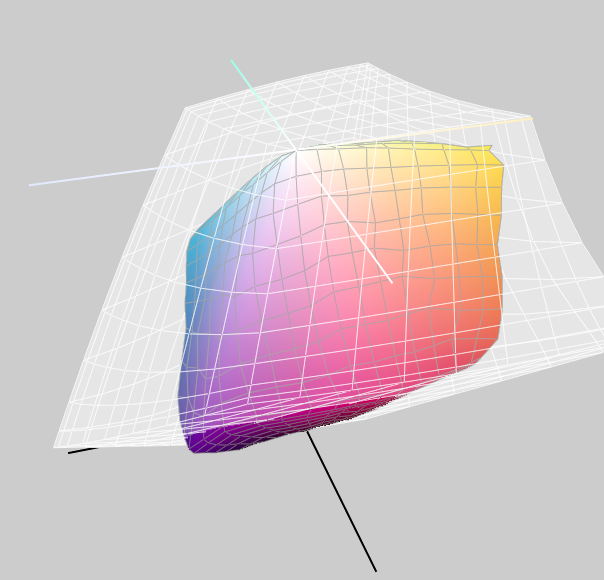 And: if the output color space of a PDF/X-4 proof file does not match the ordered proof profile, we cannot reliably proof the file correctly. Instead, we issue a “Data incorrect” message asking you to revise the file with the correct output color space. This means that the three most important PDF/X color spaces will continue to exist in parallel for a long time to come: PDF/X-1a as the safest printing standard, PDF/X-3 as the most common and PDF/X-4 as the most flexible, but also most sensitive and “responsible” of the three.